We hear something that confuses or perplexes us. We don’t get it. We want to be able to apply a word or concept to our lives or see the world in a different, more helpful way. 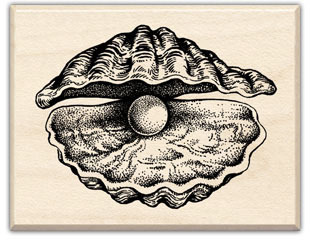 So we poke and prod and pry at this “information oyster” in the hope of dislodging the pearl of insight. As we live, you and I are meaning seekers. We are surrounded and engulfed with information all day, every day. But information is just the beginning. You might say information is the raw material from which meaning is made. Information has to be massaged into meaning. “The temperature is 46 degrees.” = information. “I need to grab a coat.” = meaning. Sometimes we do the work of carving meaning out of information by ourselves. Sometimes we let others do the work for us. We let them because we trust them and they have demonstrated that they are skilled at it. All of this is meant to “set the table” for the real question I want to ask today, which is: How do you use the Bible as a resource for life? It is obvious that the Holy Bible is meant to serve as much more than a source of information. Even when we consider something as seemingly cut and dried as Jesus’ birth we have two narratives that offer wildly divergent views of those events. (Wise men no shepherds in one, shepherds no wise men in the other. A slaughter of innocent children in one, no mention of this incident in the other, etc.). Instead the Bible is meant to be a storehouse of meaning. Sacred meaning… holy, divine meaning… ageless and eternally profound meaning. And even though I know all of these things, my experience reading the Bible and extracting meaning from it has been mixed. There have been times when the light has shone brightly from its pages, illuminating meaning intended – or so it seemed – just for me in that moment. At other times, reading the Bible has been like trying to see the bottom of a muddy farm pond. Sometimes my reading of the Bible elicits a resounding stamp of approval on my current thoughts and actions. MORE often though it challenges me, causing me to squirm uncomfortably in my seat. And yet I return, again and again, in recognition of the Bible’s authority in my life. This is where the theological guidelines of United Methodism (from our Book of Discipline, 2012 edition) place us. We are invited to see scripture as INSPIRED by God… written by human beings. Requiring engagement, and yes, interpretation. It sounds scary and it is meant to. And I resonate a little bit with that logic because I have seen evidence of that approach in my own life… looking to find the piece of scripture that justifies the decision that I have already made. And I do heartily agree that WE need to conform to God rather than the other way around. The Pharisees had them… dead to rights. Nothing is clearer than the Word of God that says, “Thou shalt honor the Sabbath Day and keep it holy. (Exodus 16:23, KJV).” But then Jesus responds with one of his trademark verbal bombshells and says, “The Sabbath was made for humankind, not humankind for the Sabbath.” (Mark 2:27, NRSV). BOOM! What we see here is Jesus INTERPRETING the scriptures. Based on a deep reading and understanding of the Exodus scroll Jesus is extracting the INSPIRATION of the commandment and re-applying it to the situation at hand. And I believe this is exactly the way Jesus would call us to use our Bibles today. I thought of that yesterday when I heard the news about the Supreme Court handing down its landmark decisions doing away with the Defense of Marriage Act (DOMA) and Section Four of the Voting Rights Act of 1965. People on both sides of each issue ran immediately to the Bible to say why these were either the worst, most sinful decisions of all time or the best. People of faith are called to follow God’s word and to find God’s heart in the pages of the Bible. But I believe with all of my heart that God also granted us the gift of reason with the express intention that we use it, in concert with God’s word and inspiration, to map a faithful path through the world.